Spring is here and I couldn't be happier, I'm ready for some cool, new and fun clothing and I think my closet would agree! Most days you'll typically find me in jeans and a tee, I like to be cute and comfy - that's just my style! I was recently introduced to Crazy Cool Threads and their Christ-centered clothing caught my eye and I knew I had to get my hands on some of their amazing tees! Crazy Cool Threads offers a variety of tees that are fun, faith-based and perfect for mom's and women everywhere! At Crazy Cool Threads you'll find super soft tees with your favorite phrases like Let Go Let God, Hustle Hard Pray Harder, Grace Wins and so much more! 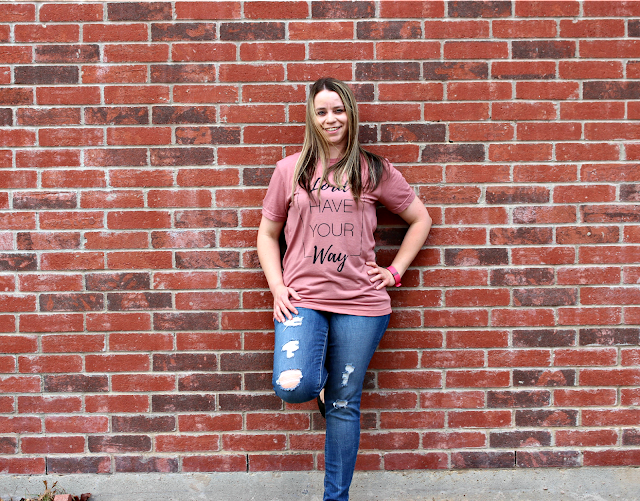 I'm so excited to worship in style this spring, it was so hard to pick just one favorite tee from Crazy Cool Threads so I chose three and I love them all! 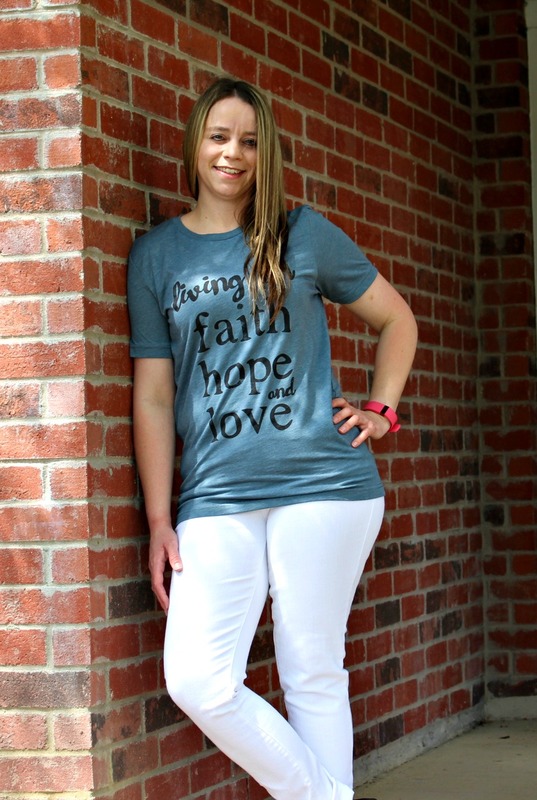 I'm wearing the Surviving Motherhood, Living On Faith Hope & Love, and Lord Have Your Way t-shirts! 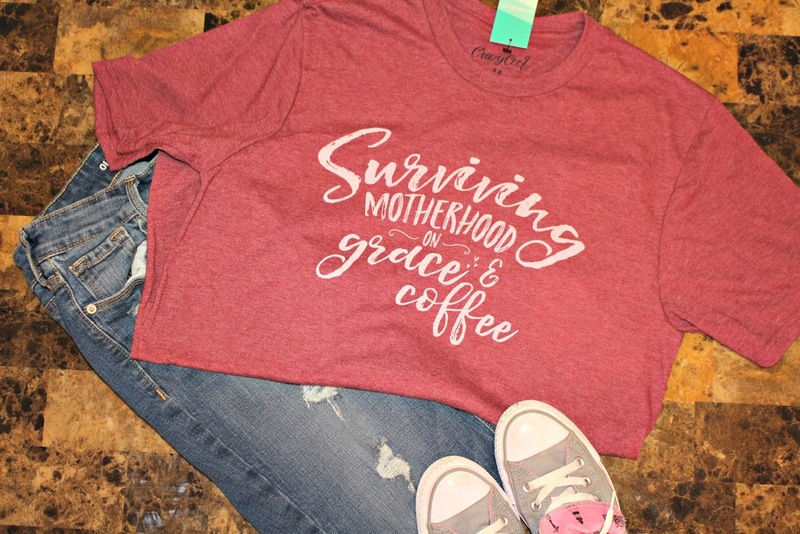 All of these tees run true to size and have a vintage feel to them, my favorite hands down is Surviving Motherhood - we all need a little grace and coffee right? I feel like the Lord was calling my name with the other two tees, they feature some of my favorite quotes and couldn't be more true about my life right know! 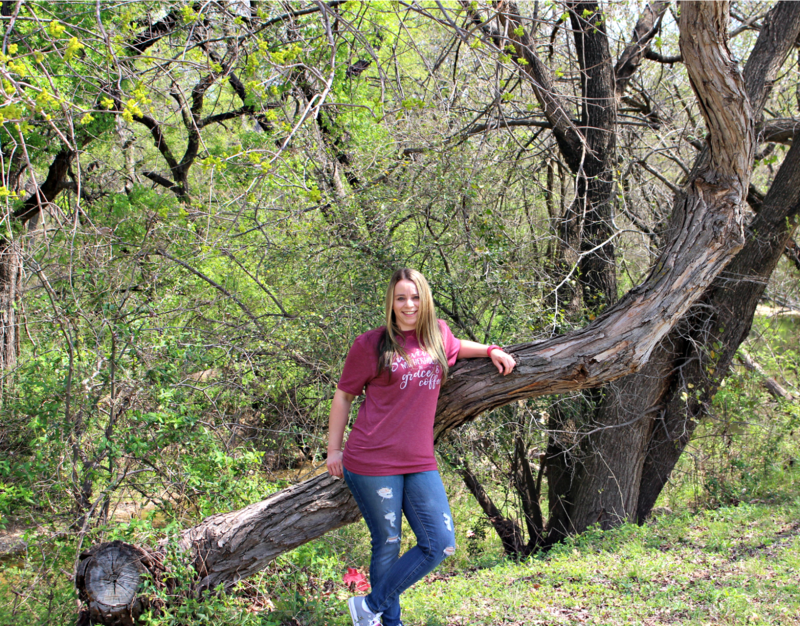 Crazy Cool Threads tees start at $24 and they offer free shipping in the United States, they have something for everyone and you'll be sure to rejoice this spring in these fabulous tees! So what do you think, which one is your favorite? 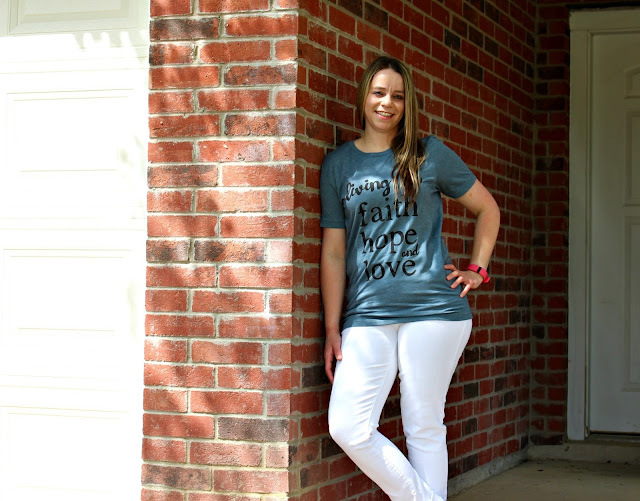 Do you want your own faith inspired tees? You can purchase all of the tees featured above online at Crazy Cool Threads! Be sure to stay connected with them on Facebook, Pinterest and Instagram! Love!! Checking them out now, thanks!